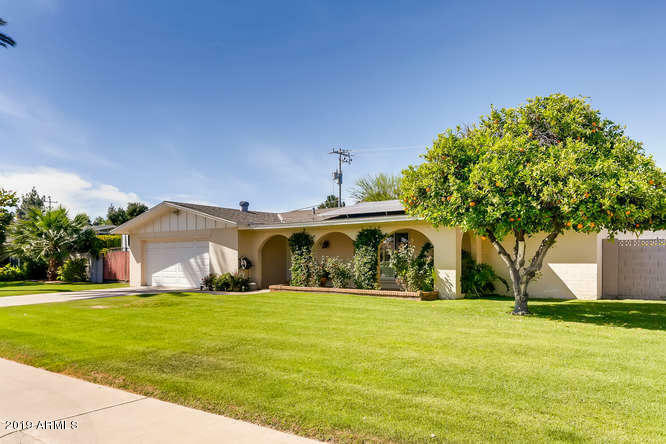 All NORTH CENTRAL TERRACE homes currently listed for sale in Phoenix as of 04/20/2019 are shown below. You can change the search criteria at any time by pressing the 'Change Search' button below. "This lovingly remodeled 3 Bedroom 2 Bath home is ready for move in! Just in time for summer to enjoy the recently renovated pool! The open, well designed floorplan is perfect for entertaining and living! The remodeling over the past few years includes new wood flooring, elegant master bathroom, kitchen with dual fuel range/oven and view to the backyard, new roof, pool and so much more. RV Gates were recently added to the side of the home adjacent to the 2 car garage. This North Central home i"